This is an easy to use form. 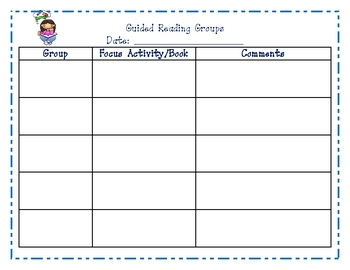 Just print, fill in the date, and the student groups. It is an easy way to track student progess, strengths, and weaknesses. 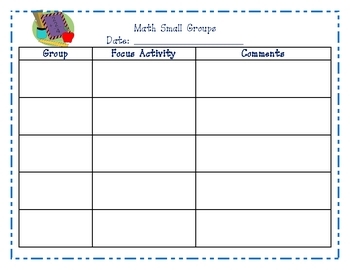 It is a great tool for daily documentation for busy teachers.